This contemporary stunner is situated in one of the newest oceanfront residential neighborhoods at Mauna Lani Resort on Hawaii Island’s legendary Kohala Coast. 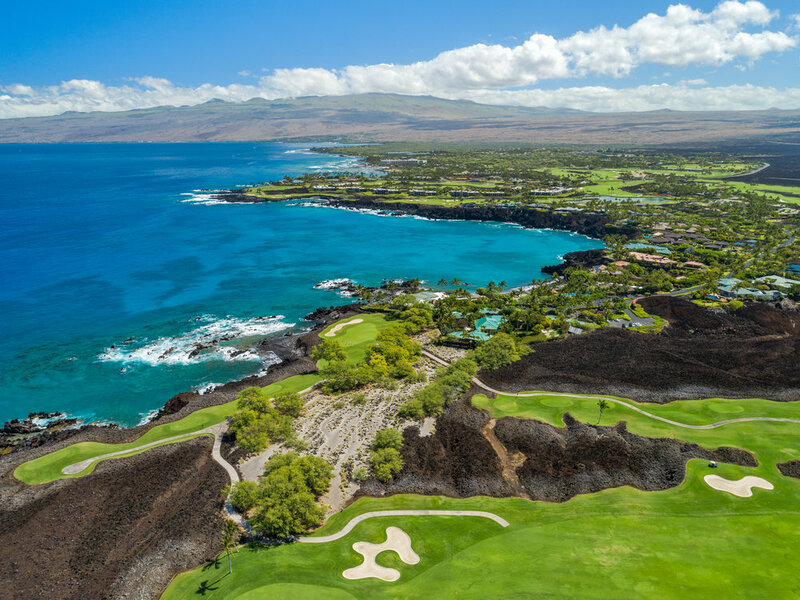 Situated on more than 1 acre, this expansive, two-story property enjoys panoramic ocean, Island of Maui, Mauna Kea and Kohala mountain views, and it overlooks the scenic 6th Fairway on the Ke Kailani Golf Course. 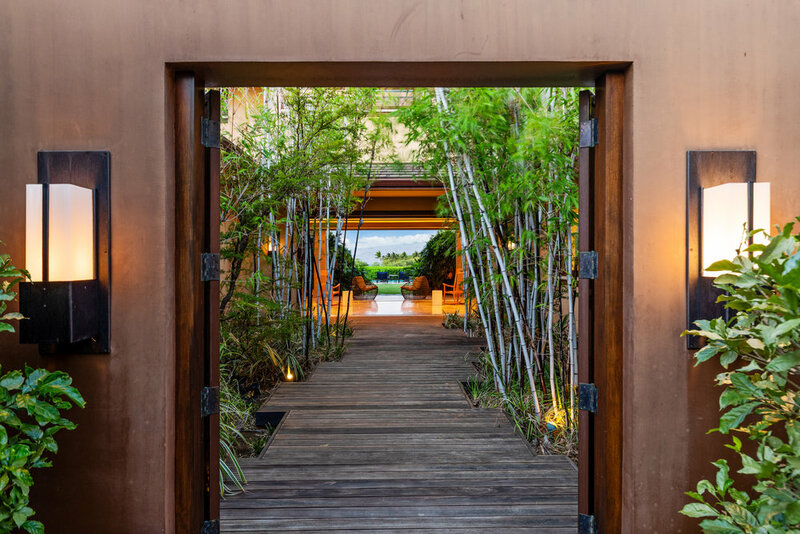 Exterior features include a bamboo-lined entry courtyard that creates an exotic island vibe on arrival, large pool and spa, outdoor grill area, tiki torches, an electronic fire pit and private outdoor shower gardens off two of the guest bedroom suites. Offered fully furnished, the interiors are beautifully appointed with luxurious custom detailing throughout including: travertine flooring, Mahogany cabinets, Corian countertops, and pocket sliding doors that allow a seamless transition for indoor/outdoor living. The professional kitchen is outfitted with top line Viking appliances and a Thermador refrigerator/freezer, and the oversized kitchen island makes meal prep a breeze, while four built-in dishwashers ease clean up shores. Central air-conditioning keeps things cool, while the integrated A/V system is great for entertaining. With 4 bedrooms and 5.5 baths, and spacious indoor and outdoor living areas, there is plenty of space – and privacy – for the entire family and overnight guests. The master bedroom is situated on the second floor with pocket doors leading to a private lanai with stunning views. Ke Kailani amenities include a gated entrance with 24-hour staffed security, The Grotto which is a community gathering place with infinity pool, two whirlpool spas and two open-air entertainment pavilions. Residents also enjoy privileged access to the private Mauna Lani Beach Club, set on a tranquil white sand beach, with fabulous dining and entertainment at the critically-acclaimed Napua restaurant. Hana Pono Park, a 5.5 acre recreation area, is adjacent to the Ke Kailani community with a state-of-the-art fitness center, adult and children swimming pools, barbecue area and pavilion.